USA Road trip from New York down to Key West! Around 2,000 miles in total. 3 weeks non stop. Ladies and Gentlemen, this is how we explored the East coast of the USA in spring 2017! Since our West coast road trip last year including Hawaii we became true U.S. fans and our plan is to discover this amazing country in the future more deeply and more often. Well, here we are now already very much in the south, arriving on our 10th stop during this trip. Highest time to say hello to our first stop in the sunshine state: Tampa, Florida! 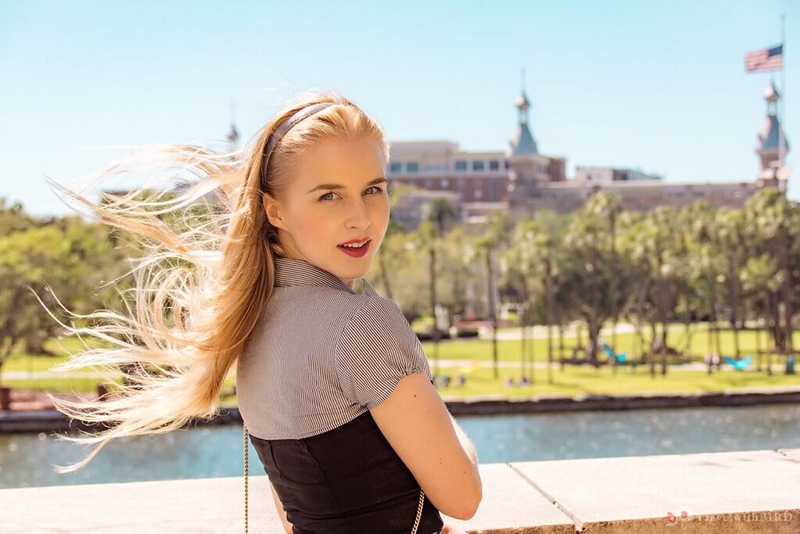 And directly think about all the things to do on Tampa Riverwalk. After leaving St. Augustine end of march, Tampa was welcoming us on the Interstate 95S with a spectacular sunset. Deep purple mixed with red and yellow tones were presenting Tampa on the horizon exactly as we were expecting such a Sun city. Immediately I had a picture in my head from old Miami Vice movies and photos with these colors and palm silhouettes. Well, just 2 weeks ago we have been in cold New York. Tampa was also something special for us, since one of Birdies friends from old school times in Finland now lives here – reunion time! She lives now since a couple of years already with her own small family in Tampa, moved from the cold North to the hot South. So there was a great anticipation and we had 2 full days to discover Tampa. 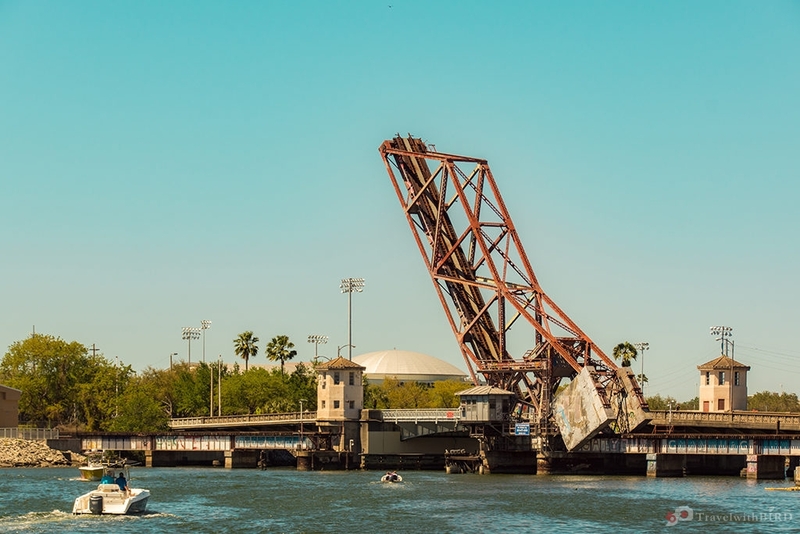 In this post we will tell you about all our impressions from the things to do on Tampa Riverwalk. 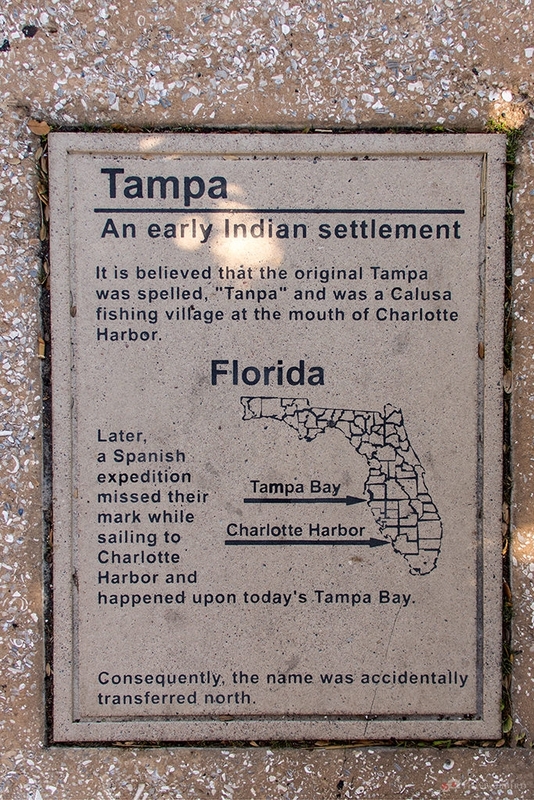 The Riverwalk is in fact a 2.4 miles long pedestrian area along the Hillsborough river, which goes through Tampa. The origin of the Riverwalk goes back to the 70s when there was nothing else here that just old industry buildings and warehouses. And this in a location directly next to Downtown, the pulsating heart of Tampa. But back in time the plan was a bit different, a large park was discussed and in the end the project failed like so often due to lack of money but also the strong will to make this happen. Then 2002 was the year of destiny. The Riverwalk came to life by a Jump start project. The finishing of the Curtis Hixon Park in the year 2010 was another Milestone. The Completion of the Waterworks Park and the Extending of the Riverwalk to its 2.4 miles just lately completed the project. But what makes the Riverwalk so special? In short – its location, its beauty and its countless details. 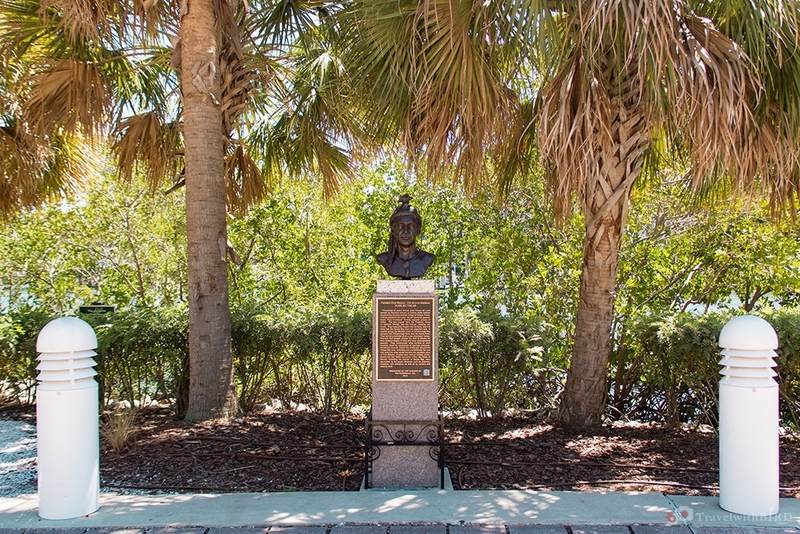 Along the whole Riverwalk there are bronze busts of famous Tampa citizen or people who deserve to be placed there due to their good deeds. Garfield Devoe Rogers, businessman, philanthropist and creator of Rogers Park. The busts are placed subtle but interesting along the Riverwalk and offer every interested one many background information about these persons and their impacts. By the way – there are also manatees living in the Hillsborough. We did not see any of them, but this surely might be a highlight for visitors to see such animals in the wild. Well, first of all obviously walking along the river. So far, so good. A great tip for all sporty people out there is to discover the Riverwalk in the morning hours during the sunrise. The crazy colors of the sky which are typical for Tampa are the perfect scenery to start the day actively and with an incredible morning sun. 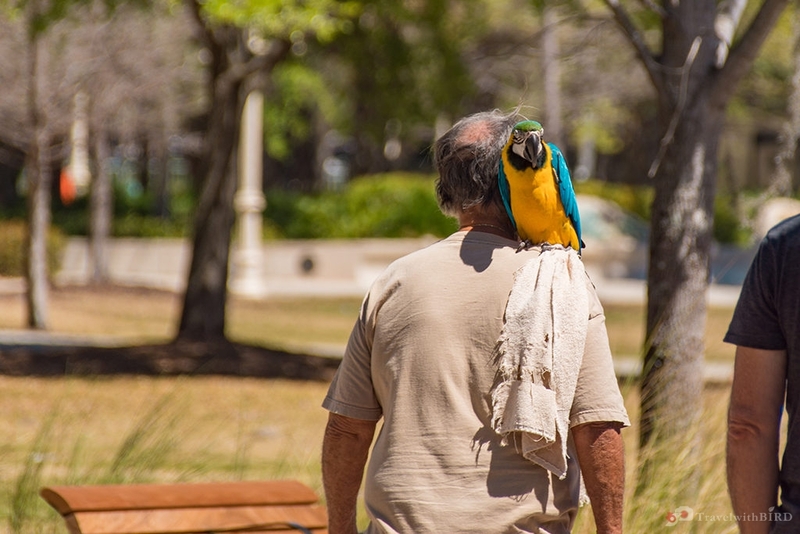 Whatever things to do on Tampa Riverwalk, start to discover from the south, the South Plaza. Not far from that you will find already the ultimate main attraction of the city, the Florida Aquarium. Sharks, turtles, sting-rays and many other thalassians, in total around 7,000 animals and plants are inviting to be discovered. Next we have the Tampa Bay History Center. This museum offers everything about the – believe it or not -12,000 year old history of Florida with reports from the times of the Seminole Indians, Cuban cigar rollers and much more. A smaller or bigger snack afterwards is offered in the quite close Colombian Cafe, which is also Floridas oldest Restaurant. Maybe you are not in the best walking mood or simply want to try out something new? No problem, discover everything directly on the water, for example with a water bike, e-Boat, water taxi or even per boat or ship – anything is possible. 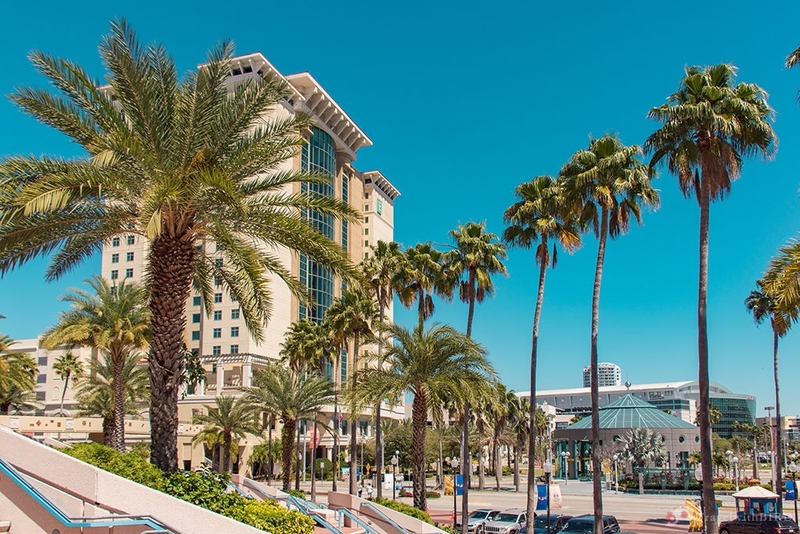 Whatever the means of transportation you choose, after around 1,2 miles you reach the already mentioned Curtis Hixon Waterfront Park. Everything is romping around here, no matter if two, three or four legs. Then we have the Glazer Children Museum, which is probably exactly what you might think it is. Big fun for Grown ups and especially small ones. The kids can try out here fire department uniforms, learn how to help animals in the veterinary medicine and so much more. In a playful way the kids learn so many interesting things, which is great. And last but not least we have after 2.4 miles as a reward the Ulele Restaurant, named after an Indian princess. As a refreshment you get here for example Alligator meatballs and cold Craft beer. Hungry already? 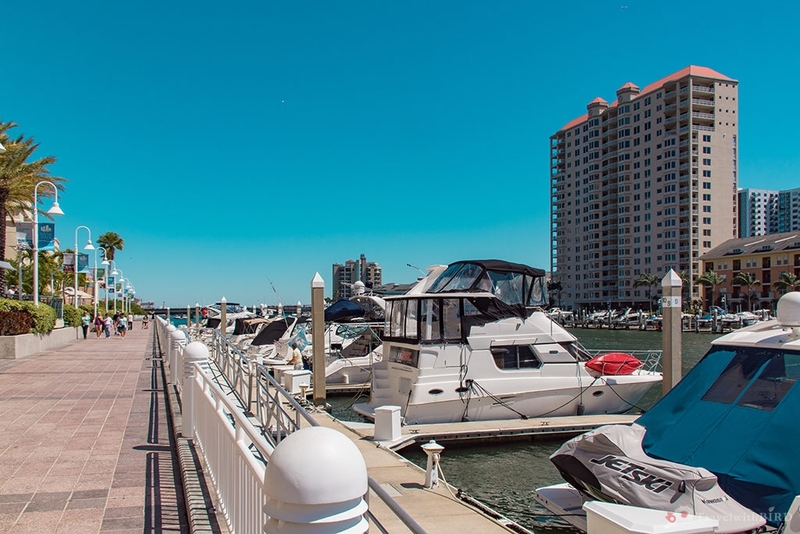 The Tampa Riverwalk is a beautiful idyll in the heart of the big city. We were lucky to be there exactly when all has been just built. And indeed the whole Riverwalk gives a very, let’s say valuable impression. Everywhere a wonderful peaceful, calm and relaxed atmosphere – good vibes only. 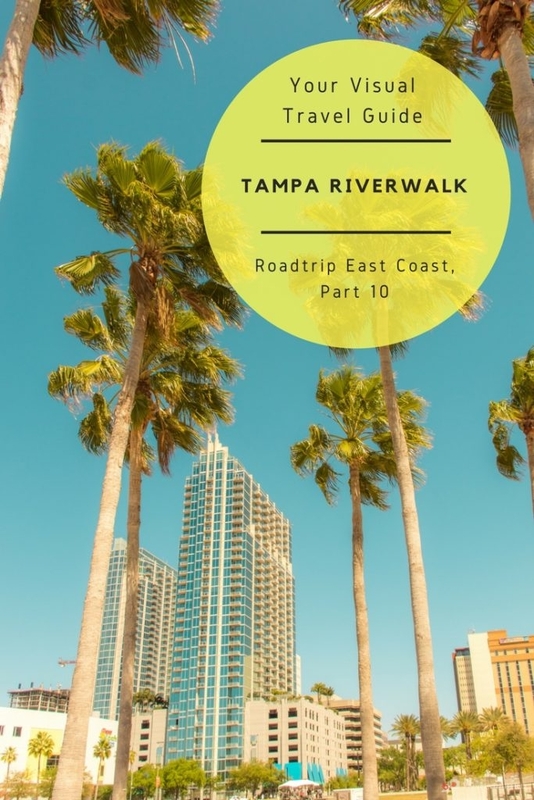 We were able to discover Tampa this way from one of its most beautiful sides and can only strongly recommend to every Tampa visitor to explore the Riverwalk. You can plan your time schedule perfectly. From a 2 hours walk up to a whole day stay or even longer while exploring all the different stopovers like parks, museums and so on. Travelpeeps, on our next stop we come already almost to the end of our road trip from New York to Key West and it’s called… Miami! See you there, stay travelish! 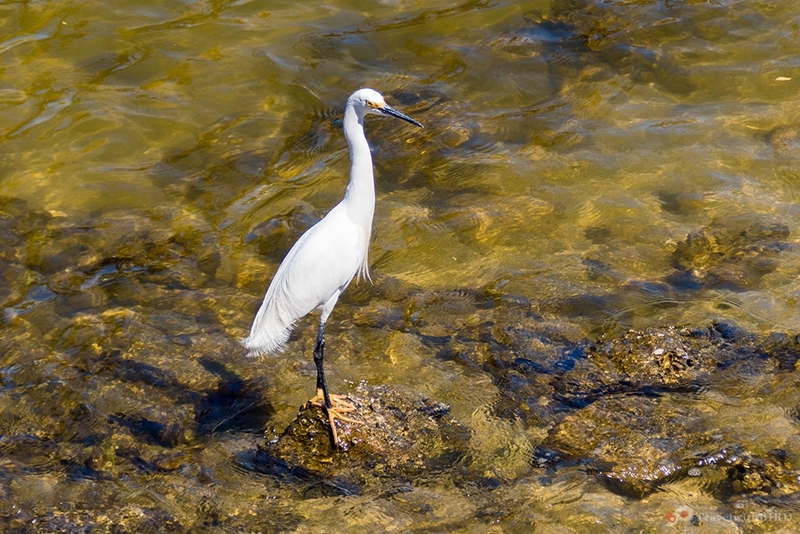 All impressions from our Riverwalk you find as always here in the gallery. I’ve been to Florida, but not here to the Tampa Riverwalk. Your photos are wonderful and really capture the setting well. I’d like to spot a manatee if I go there too! 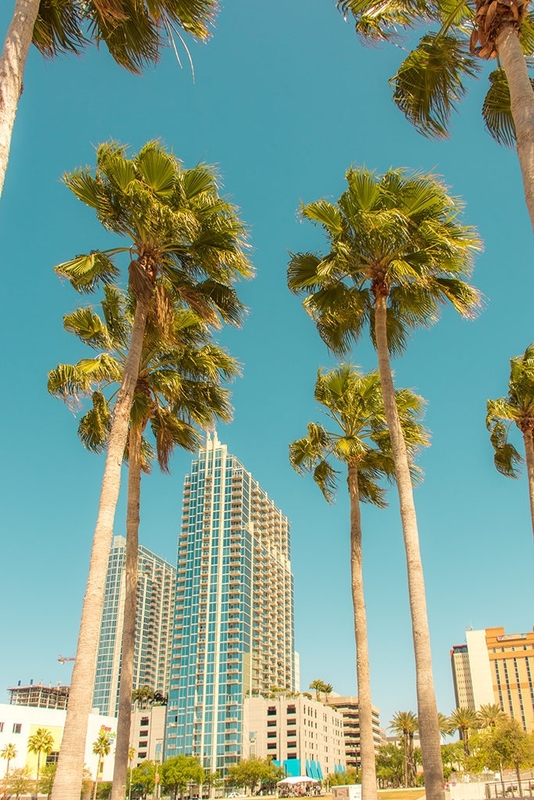 Tampa looks like beautiful place on East Coast to visit. I have been to East Coast tour this summer but missed this place. Good to know about ancient Indian settlement history at this place. Children would also love to visit Glazer Museum. I remember seeing the Tampa river walk on CNN earlier this year. When the hurricane was coming it sucked the water out of the river! On a good day on the river it sounds like a worthwhile walk. The statues and history of the city along it sound very interesting. There must be so many photo opportunities too. 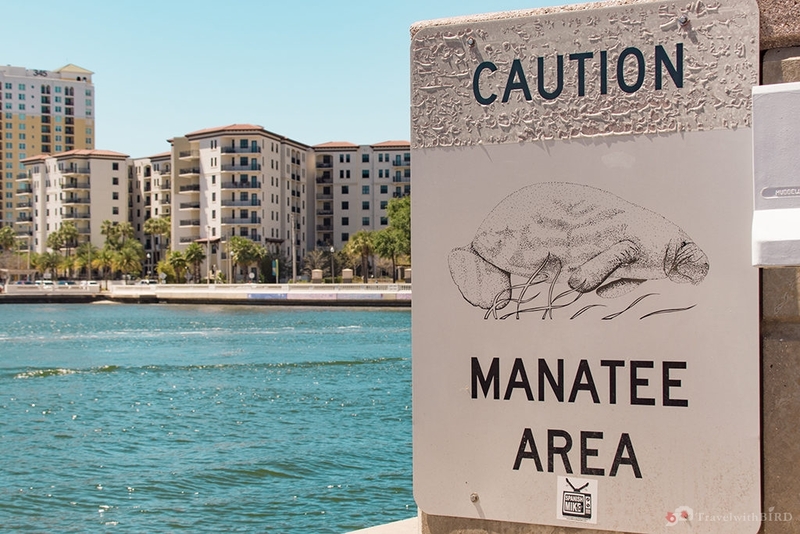 It would be exciting to see a manatee. I would definitely try the alligator meatballs with a cold beer! Looking forward to the next stop, Miami. I am amazed of how many things you were able to discover in the Riverwalk. 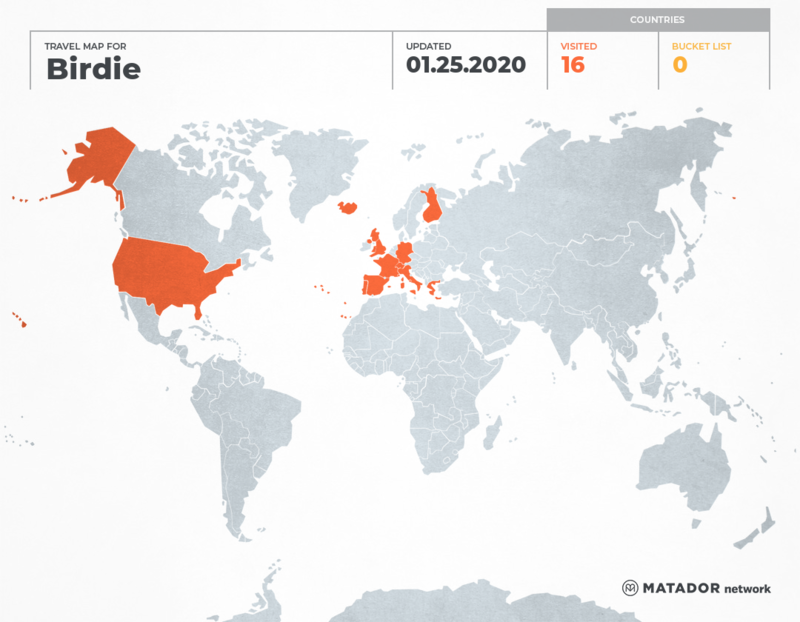 The image that us Europeans have of Florida is that there are alligators and retired people. It is refreshing to see such a nice and clean town! Thank you for sharing! That’s one super road-trip to take and I’m sure all of it was magnificent. 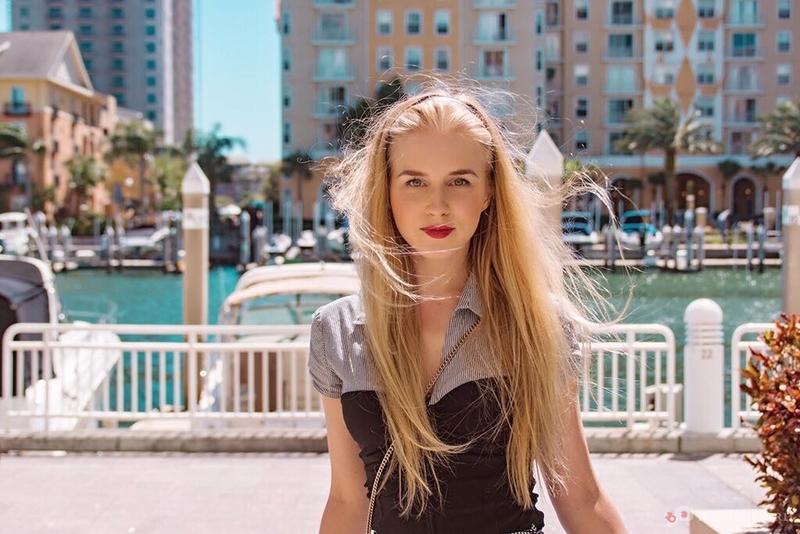 Loved the photos which really capture the vibrant area and Tampa has always been one of those places that people, like myself, who have not been to most parts of US, know about. 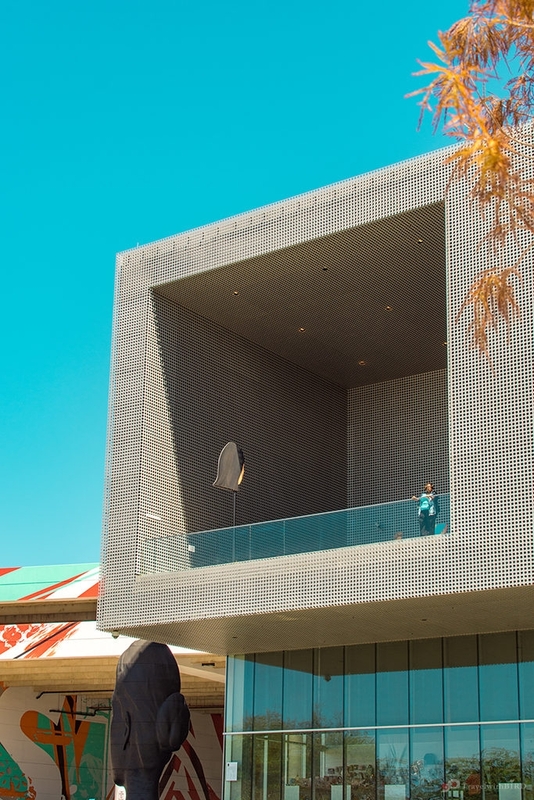 The Glazer Museum looks really wonderful and something that my children would have loved. Good to know you got to meet up with you good old school friend! The history centre sounds intriguing, esp to know that its 12000 years old and it was a Indian settlement is very interesting.